So as you read this, I am at Fraser Island on a 4WD adventure. I wrote this post and scheduled it before I left, so you wouldn't think I had vanished for the week! I am holidaying with my best friend and her partner and my Husband. We all have in common an intense love for healthy, sugar free food. When we get together, there is lots of recipe sharing, cooking, eating and laughs. My friend has been busy in the kitchen all week cooking up a storm and filling the fridge with treats for our adventure. I have too, making protein balls and one of my favourites this Jaffa Bread. I have packed loose clothing and know I will leave Fraser Island a few kilo's heavier. Oh, why must I love food so much?! Today I am leaving you with this recipe that I experimented with in the kitchen last week. Twelve months ago if you had of spoken to me about kale I would have had no idea what you were talking about! Fast forward and I am a keen kale advocate! I enjoy it in salads, smoothies and even make chips from it. 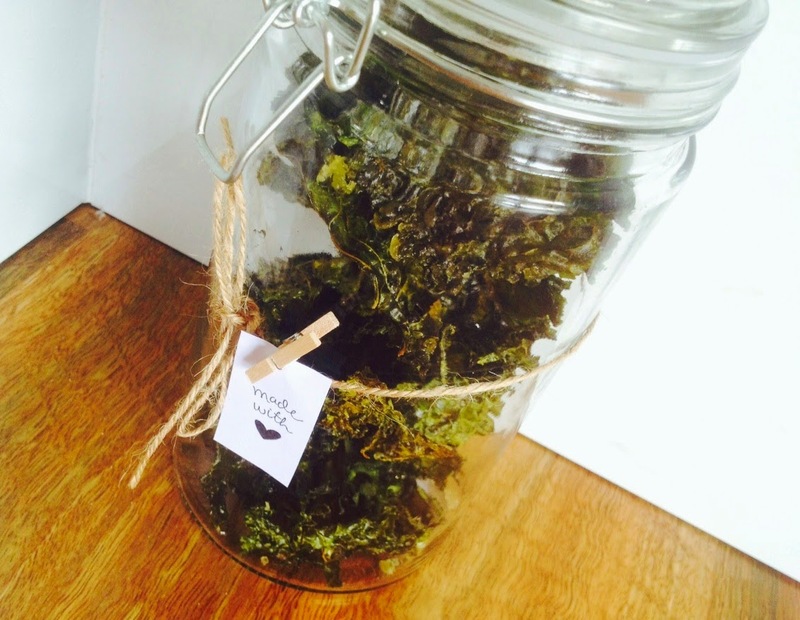 I wanted to share with you a super easy and yummy kale chip recipe. Kale is now being labelled a 'superfood' as it has exceptional nutrient richness, health benefits, and delicious flavor. Pick up a bunch from your local farmers market or supermarket and give this recipe a go, I think you will be surprised! Separate kale leaf into smallish shreds (approximately chip size) being sure to pull away the vein of the leaf. In a bowl, combine kale, oil and salt and stir well. 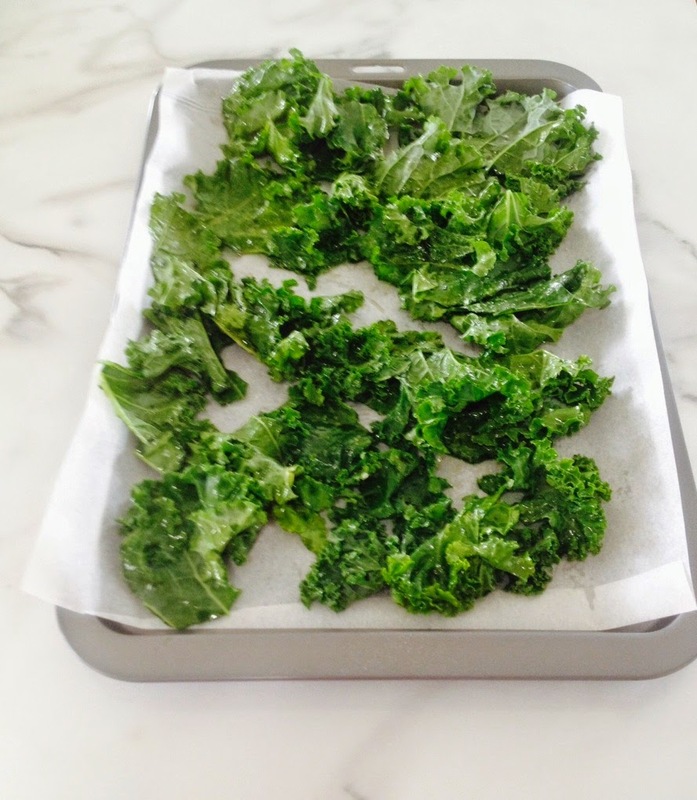 Arrange kale leaves on a baking dish lined with baking paper. Place into a moderate oven for approximately 10 minutes – where you will then turn down the heat of the oven to approx 100 degrees. Continue to watch chips until they begin to shrivel and are crispy (approx another 10 minutes). There are many different variations of kale chips and ingredients you can add for extra flavour. Here is a great recipe you that has a little chilli garlic twist. Just experiment and have fun!